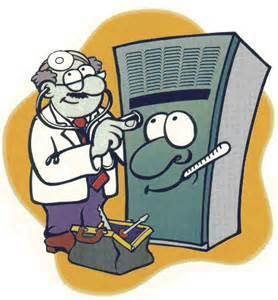 Service your Furnace for Winter! Colder weather is upon us, and for many, that means turning on your furnace! Whether it runs all day or you just want to knock the chill off, you need to ensure that your furnace is in proper working order for the winter. Many people may not realize that even though their furnace has not been in use, things can happen during the warmer months that affect the functionality of the furnace. Begin by contacting a trusted HVAC service to inspect your furnace. During a standard maintenance inspection, the HVAC repairman should also clean the furnace, check the filter, and check for any leaks. Ideally, one would also pay to have the ducts cleaned at this time, if possible. Additionally, ensure that you change your filters regularly. Start by checking the filter monthly (or even more often if there has been a lot of dust in the home, such as from construction/renovation work). If the filter is dirty, replace it. If the filter is still looks good, you can wait a little longer before replacing. Buy filters (especially if you can find them on sale) so you always have an extra month or two on hand when you need them. Also, ensure that there are no objects sitting close to your furnace, or in front of your air ducts/return vents to ensure proper ventilation. Contact Family Realty for all of your home buying or selling needs.